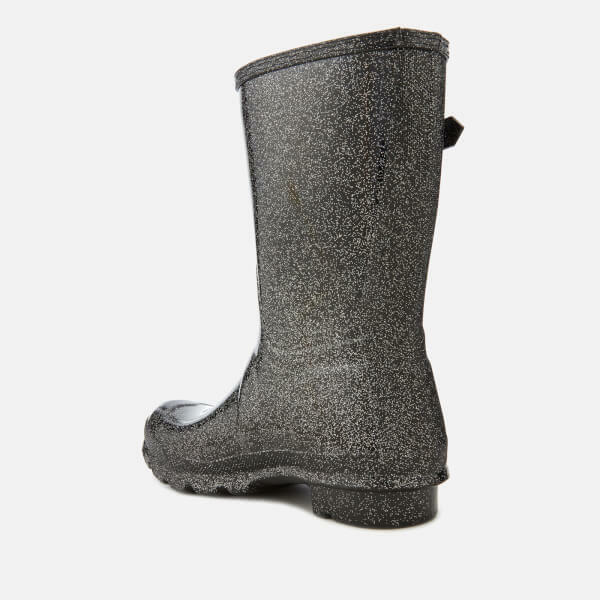 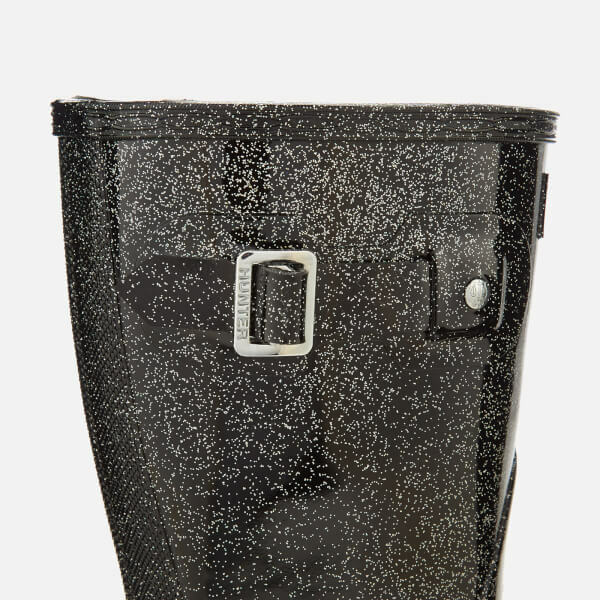 Women's short Hunter wellies with striking glitter finish. 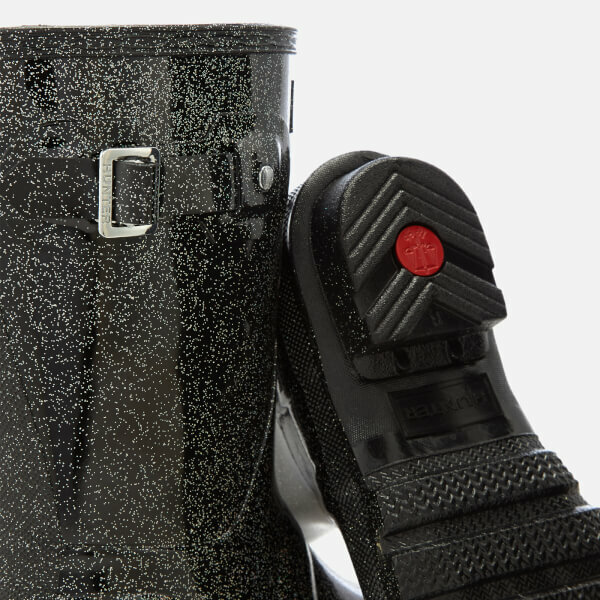 Handcrafted on the original last from 28 parts of waterproof, natural rubber, the 'Original Starcloud' wellington boots are based on the iconic design of the Original Tall Wellington Boot, and feature single buckle strap to the shaft that can be adjusted to customise fit. 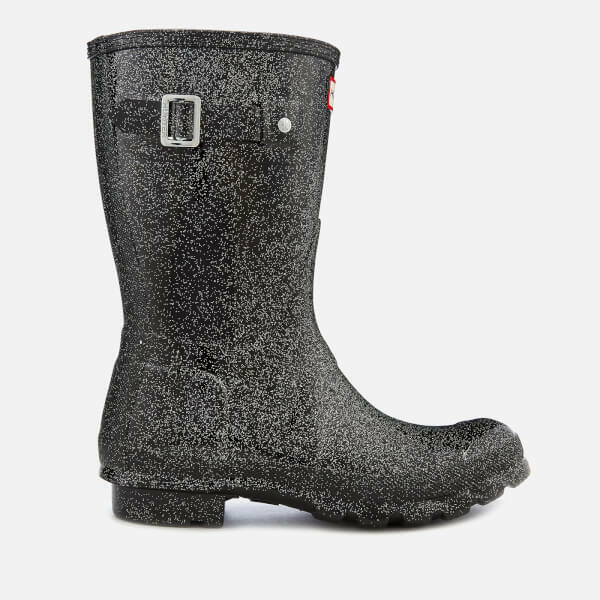 Set upon an original calendered outsole and lined in textile. 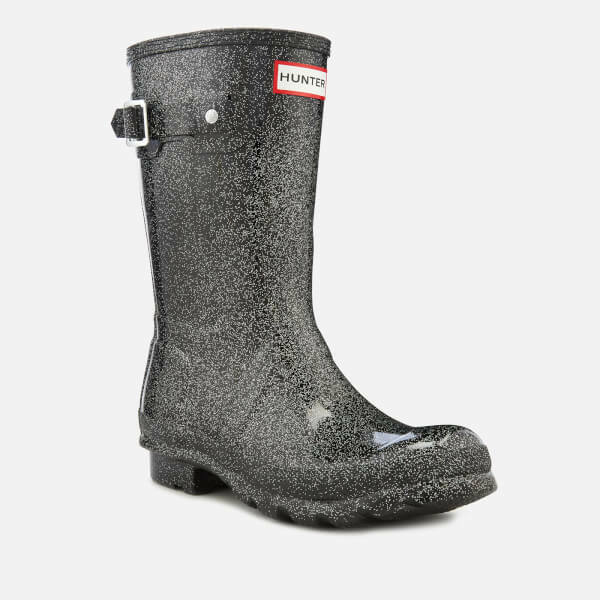 Iconic Hunter logo completes the design with a signature quality.